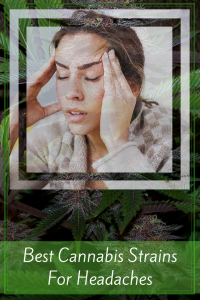 The best cannabis strains for headaches not only get rid of severe pain fast but also help with other symptoms often associated with headache such as fatigue, insomnia and nausea. Especially true with migraines and cluster headaches as pain is only the beginning. Luckily cannabis can provide quick and long lasting relief and these strains are well known for being some of the best marijuana strains for headaches. 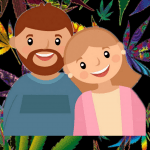 Obviously brain chemistry and tolerance levels vary therefore you may need to try a couple of these strains until you find the best cannabis strain that helps you the most. Undoubtedly this will provide true substantial relief minus the awful side effects that most common over the counter and pharmaceuticals inherently come with. 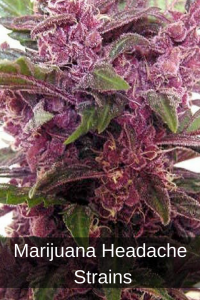 In the event you feel a headache coming on break out the Chocolope and watch your on coming headache fade away. This potent sativa will energize you while knocking out pain therefore causing you to be more productive and happy. In addition this clear headed sativa is also well known for treating nausea, stress and depression which are symptoms often associated with headache pain. 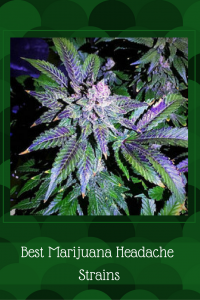 One of the best marijuana strains for long term pain relief as this intense hybrid will give you a pain relieving cerebral high that will also ease your mind. Indeed if you are looking for good balance of pain relief with a calming psychoactive effect than look no further. As this strain is well respected for treating pain, stress, depression and lack of appetite. In addition to pain relief, this is also one of the best cannabis strains for depression as it leaves you feeling euphoric and clear headed. 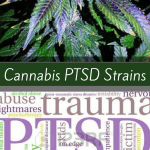 Furthermore people with PTSD and moderate anxiety have benefited greatly because of this highly sought after strain. White Widow is a fantastic hybrid cannabis strain, is one of the most popular cannabis strains for headaches and more specifically migraines. This potent hybrid provides a great cerebral feeling while the 40% indica promotes muscle relaxation leaving you feeling calm and comfortable. 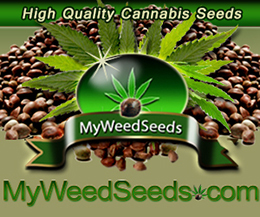 Overall a well balanced strain that is perfect for daytime or work use. 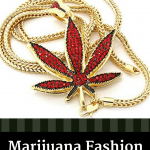 indeed harlequin has a long history of being one of the best high CBD medical marijuana strains for pain as it relieves pain fast but will not leave you too stoned. Easily considered one of the best medicinal cannabis stains as it has a 5:2 CBD / THC ratio. 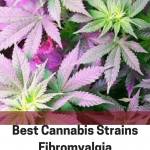 In fact it is well known as one of the best marijuana strains for fibromyalgia and chronic pain. Smokers appreciate the anti inflammatory and headache pressure relief this strain tends to provide. 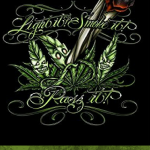 Additionally this strain leaves the smoker feeling relaxed and happy making it great all around strain to have on hand. Often times headache pain can be so excruciating where the only option is to rest which is almost impossible in the throws of a migraine or severe headache. Fortunately Purple Kush delivers almost instant pain relief while allowing smokers to drift off into blissful sleep. Personally I feel this is one of the best cannabis strains for headaches, and chronic pain as it tends to numb pain while relaxing the body. As the name states “Gods Gift” is truly a godsend for those who are experiencing extreme pain that often comes along with migraine and cluster headaches. It is easy to understand why “Gods Gift” is one of the best medical marijuana strains as it comes from Granddaddy Purple and OG Kush medical marijuana heavyweights in their own right. More than anything this strain really promotes sleep and rest which is exactly what the body needs when it signals pain. Additionally this strain really helps with nausea which is one of the more annoying symptoms that accompany severe headache. Cannabis connoisseurs will love the sweet, earthy flavors of this powerful strain.